Hello my mid-week friends. That’s right, I slacked it a bit. Well, I wouldn’t say I slacked it, I just had a really hard time finding a gap in my work to get this review up. This week I took on a cigar that has been creating quite a bit of buzz throughout the cigar community as of late, CLE’s Corojo 2012. The Good Stuff: CLE stands for Christian Luis Eiroa. Sound familiar? Well it should. Christian and his father owned the infamous Camacho cigars up until the point in which they were acquired by Davidoff in 2008. While Christian remained president over Camacho cigars it wasn’t until this year that he decided to create his own company, CLE Cigars. The CLE cigars are produced in the Tabacos Ranchos Jamastran factory where Camacho bases it’s operations. 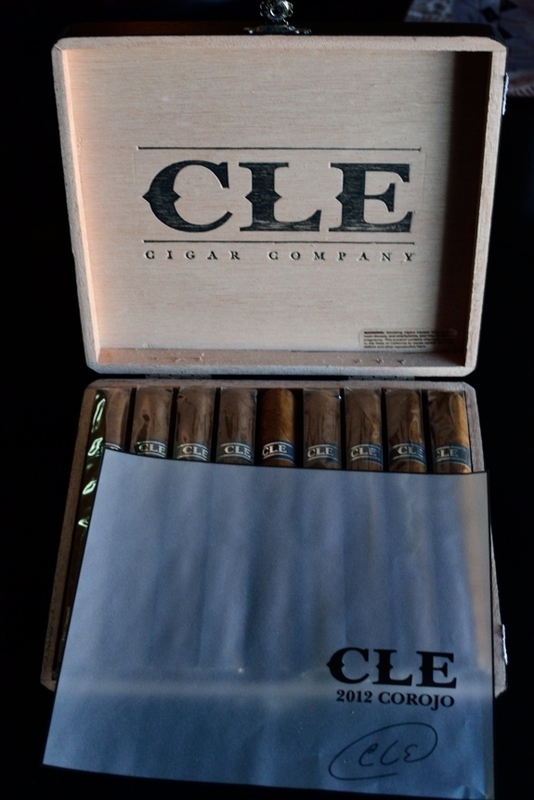 The CLE Corojo 2012 was one of two blends released at this years IPCPR show. The other being the Cuarenta. 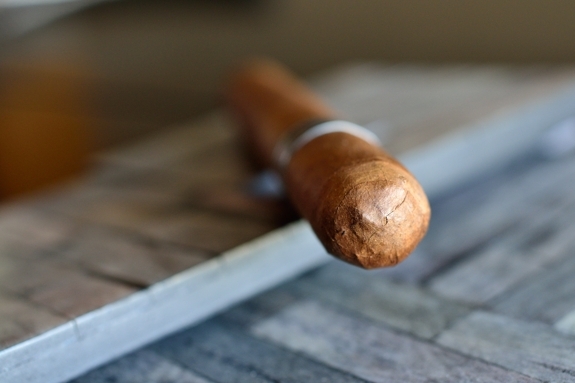 One thing about Christian is his passion for cigars, and the cigar industry as a whole. I can’t remember where I read it but I read a recent quote by the guy concerning CLE cigars where he basically said that he doesn’t know what his future holds, weather it’s in CLE, Camacho, or Davidoff, but the one thing he knows for sure is that his passion will always be dedicated to doing something in the cigar industry. While the specifics of this blend remain a mystery, I can say that this cigar comes in a Corojo Seed wrapper. What a guess right? I dug around a bit and I read that the cigar contains aged long filler Cuban seed tobacco out of Honduras. I’m not sure how accurate that is, but if I had to guess I would have thrown Honduran in the mix somewhere. 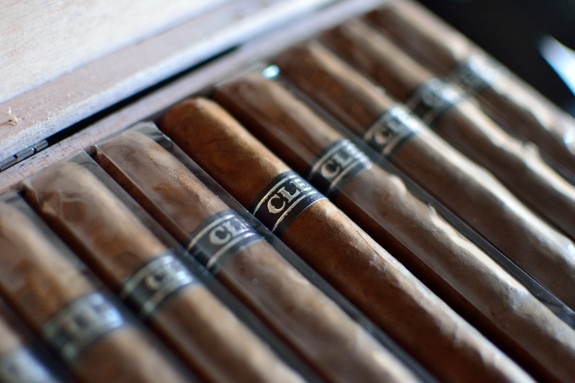 The blend comes in 5 sizes: 11/18 (6 x 54), Corona Gorda (5.7 x 46), Robusto (5 x 50), and the Sixty (6 x 60). I picked these up over at Bonita Smoke Shop. Prelight: The CLE Corojo is a fine looking cigar. Starting with the beautiful, oily, shiny, consistently medium brown wrapper. This wrapper is carrying some serious oils. The wrapper is very tight, and only displays a few seamless veins throughout it’s slender body. 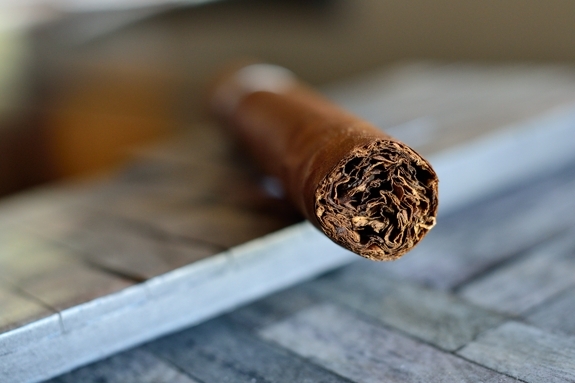 While the wrapper feels a bit on the fragile size, the cigar is very tight, and firm all the way up to the seamless triple cap. The only soft spots were located right around the foot area of the cigar. The Band on this cigar is just awesome. I love simple, elegant bands and that’s exactly what the CLE’s have. Much like Illusione and Tatuaje the CLE has a simple, thin, black band with only the CLE logo in silver ink on the front, and 2012 in red ink in the back. Love it. The wrapper on the CLE Corojo gives off a VERY pungent earthy, tobacco aroma. You can smell this cigar as soon as you remove it from the cellophane. The foot of the cigar gives off a very oaty, grainy aroma. It almost smells like wheat bread. The cap cut clean, but gave me a little bit of a fight using my double bladed Palio cutter. Come to think of it, I have had this one for quite some time and It’s been acting a bit dull lately. Maybe it’s time to trade her in. Anyway, the CLE pumps out some very strong bready, earthy tobacco flavors on the cold draw. Much like the aromas I picked up from the wrapper and filler during the prelight. First Smoke: The CLE Corojo fired up with ease using my single flame torch. Given the amount of black pepper this cigar started out with I am surprised that I didn’t pick up any pepper in the cold draw or prelight. While the pepper was strong enough to tingle my lips and my tongue, it only lasted through the first few draws before fading back and letting the bold tobacco, cedar, and spice flavors take over. While the CLE Corojo didn’t start off with a ton of different flavors, the few it did carry were very strong and meshed very well with one another. The Cedar really helped bring out a nice sweetness in the tobacco as I neared the end of the first third. The draw on this cigar is spot on and the smoke is VERY heavy and thick while the stationary smoke is almost non-existent. The burnline is a bit crazy producing lots of waves but nothing that needed any extra attention from my lighter yet. The Ash left behind is a dark grey and black with lots of flakes. It only held on for an inch before falling into my lap. 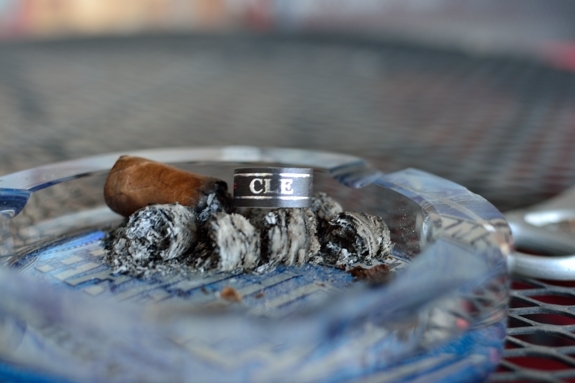 Halfway There: The spice in this CLE Corojo has really ramped up into this second third. When I say spice, I mean as in a flavor not to be confused with pepper. I’m not chef but it’s like a mashup of cinnamon, nutmeg, and maybe some herby goodness all mixed into a subtle flavor. Alongside the spice the cedar has also ramped up making the CLE Corojo a much sweeter experience while the natural tobacco flavor kept the same and a leather flavor was introduced. The retrohale is really nice and mild coating my nasal passage with a slight cedar and tobacco. Much to my surprise the crazy burnline I experienced in the first third of the cigar has completely corrected itself without any help from me. No nicotine can be felt in this experience up to this point, and with the smoothness and creaminess of the experience I don’t really expect that to change much going into the final third. Finish: I am starting to pull a neat little zest flavor from the wrapper of this cigar. It’s almost like a sharp, orange peel. Along with that the pepper that greeting me into this CLE Corojo has re-introduced itself into the mix. While the body if this cigar seems to be ramping up, the flavors have remained incredibly smooth, and creamy the entire time. The sweet tobacco, cedar, and spice have all taken turns being the center of attention into the final third of this cigar. The burnline has been clean ever since the second third and required absolutely no touch-ups or relights the entire experience. It took me about an hour and a half to smoke this cigar down to the nub and I experienced no harshness, no hot fingers, and no nicotine the entire time. Pretty impressive. 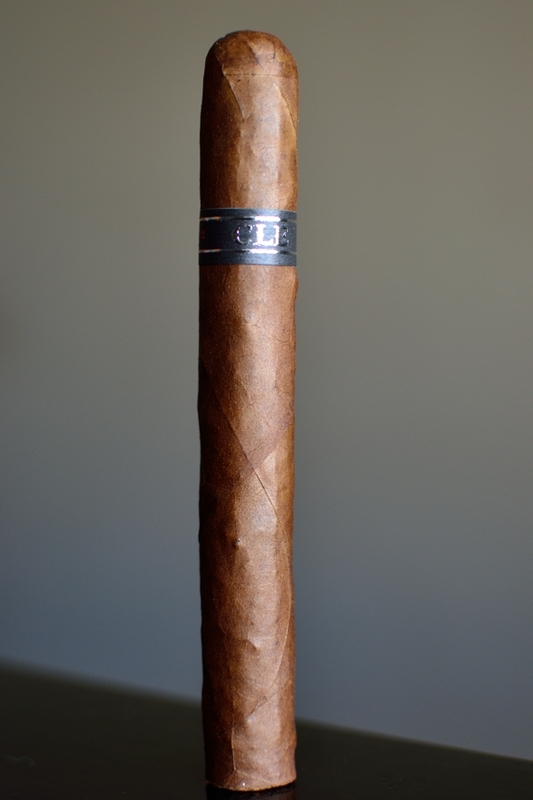 Overview: Being a strong fan of Camacho I have learned to expect a lot from anything that carries Christian’s name on it. The CLE Corojo 2012 certainly did not let me down. There seems to be phases in the cigar business. 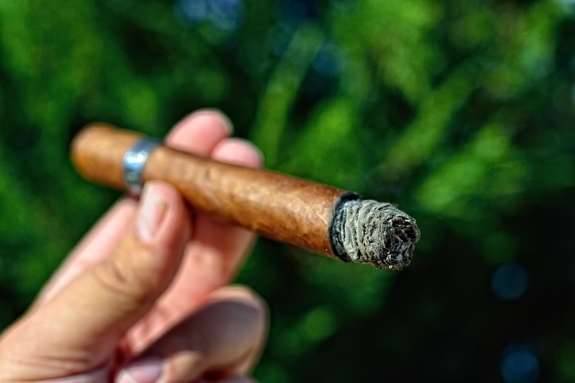 The last phase was a ton of stronger, bolder cigars angled towards younger cigar smokers. Then there has been a quick reappearance of the larger ring gauged cigars. And now with a lot of this year’s IPCPR releases there have been an influx of milder, very full bodied cigars. This, in my opinion, really shows how great some tobacco blenders are. The CLE and the recently reviewed Cuenca y Blanco are perfect examples of how great mild cigars can be when they are done right. 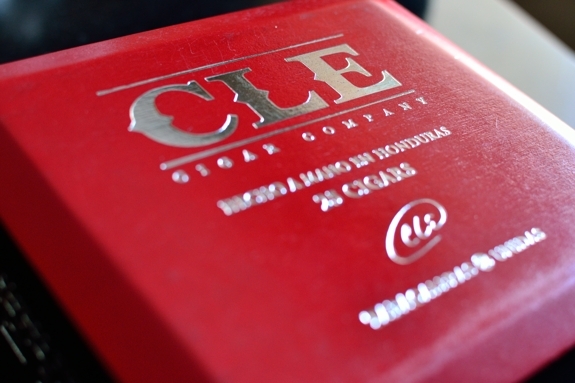 The CLE Corojo is a mild/medium cigar that packs so much strong, creamy flavors in a perfectly balanced combination that you don’t even realize that it’s not a stronger cigar until you are finished. 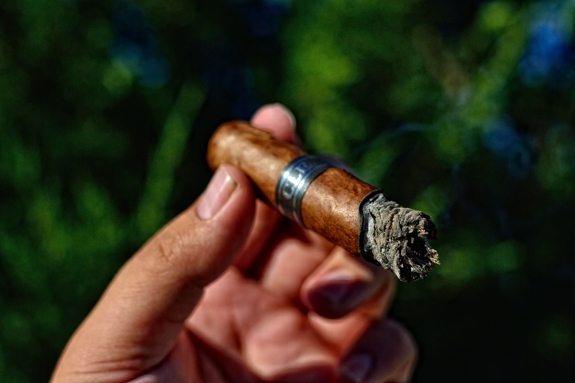 The cigar starts off with just enough pepper, continues with tons of flavors and finishes smooth and creamy, just the way an experience should. I am anxious to try the other releases in the CLE line now as I am sure that if they are anywhere close to on par as the Corojo, they won’t disappoint. Pairing: This pairing kind of speaks for itself. 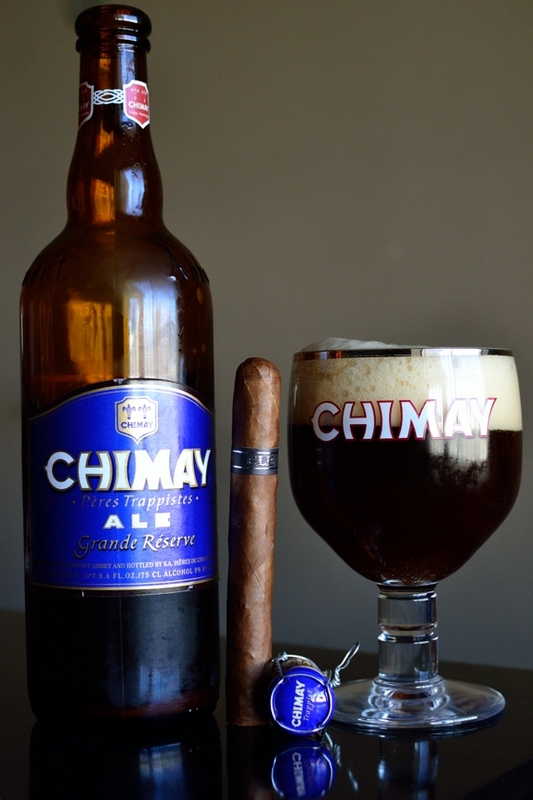 Chimay Grande Reserve is probably one of the best, easy to find, decently priced Belgian beers. Brewed at the Bières de Chimay S.A. in Belgium this Belgian style strong ale comes in at a whopping 9.0% ABV. This bottle in particular was part of a handful of Belgian bombers my wife so graciously got me for my birthday (I caught a good one, I know). This beer pairs perfectly with just about any cigar that carries enough flavor to keep up with it. Needless to say the CLE Corojo fit the bill perfectly. 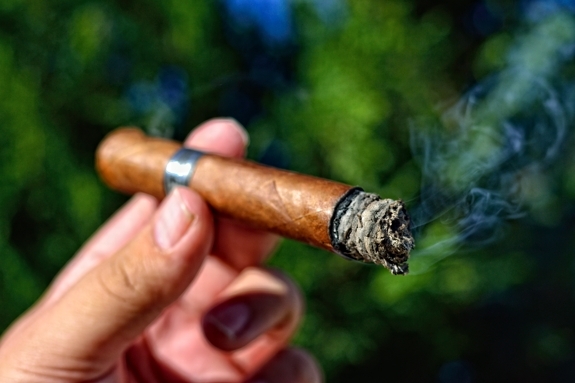 I smoked a handful of these cigars so picking out the perfect pairing was no trouble. The deep woodsy, fruity, caramel flavors in the Chimay Blue went perfectly with the smooth, creamy, bold flavors of the CLE. One note was just how perfect the woodsy and fruity (cherry, orange) flavors of the Chimay paired up with the sweet tobacco and cedar flavors in the CLE Corojo. Given the time of year you have to know I have a cabinet full of craft beer and it was an easy decision to pair these two together. The cigar would also go great with a strong porter, a bruin, or dubbel. Specifically one with lots of flavor and strength. be on the lookout man, they are damn good. I gotta find me some of these. Thanks man! Maybe santa tony will hook you up if he ever gets to sending out your package. great review and so true, the cle corojo won’t disappoint! Totally agree with ya senor.